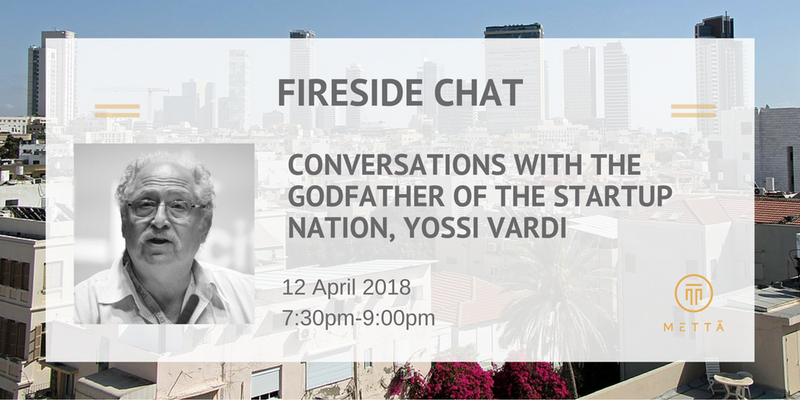 Considered one of the most famous entrepreneurs in the world, Yossi Vardi is a pioneer of Israel's high-tech start-up ecosystem. Helping to build over 85 high-tech companies over 47 years in a variety of fields, he is perhaps best known as the founding investor of Mirabilis (the creator of ICQ - the first instant messaging application on the web) which sold to AOL just 19 months after its release. This lead to what was commonly referred to as the "Mirabilis Effect," as a whole generation of young Israelis rushed to create their own start-ups, ushering in a new era of startups and innovation that has made Israel the Startup Nation that it is today. Vardi has received numerous awards, including TechCrunch Europe 2009 "Best investor personality" award and has been listed as one of WSJ's "Tech's Top 25". Today he's active in fostering a culture of innovation and creativity both in Israel and abroad, having founded Kinnernet, an annual, three days gathering of creative people from all over the world at the shores of the Sea of Gallilee; as well as serving as chairman of 4YFN (4 Years from Now) and co-chair for the annual DLD(Digital, Lifestyle, Design) conference in Tel Aviv Munich & New York. Come meet Yossi as he shares his stories of success with us, as well as of the challenges, learnings, and wisdom that he's gained along the way. *Ticket includes a bite to eat. **Audio and visual content will be recorded by the Mettā team.